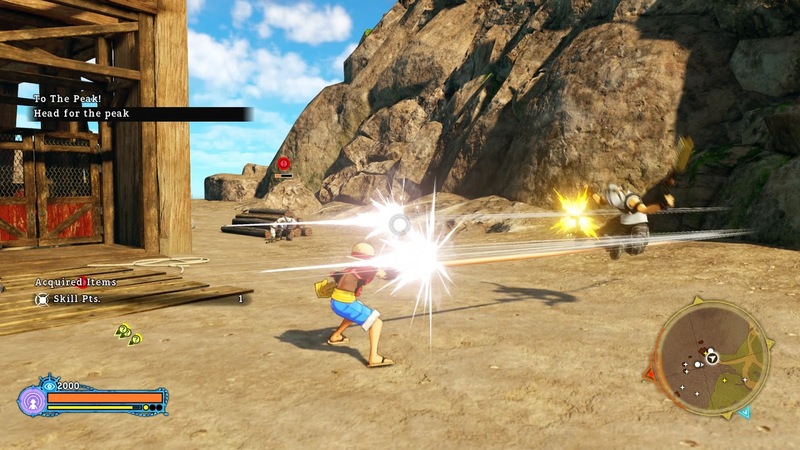 Get ready to go on another pirate adventure with the Strawhats as One Piece: World Seeker looks to bring the manga to life on a much bigger scale. 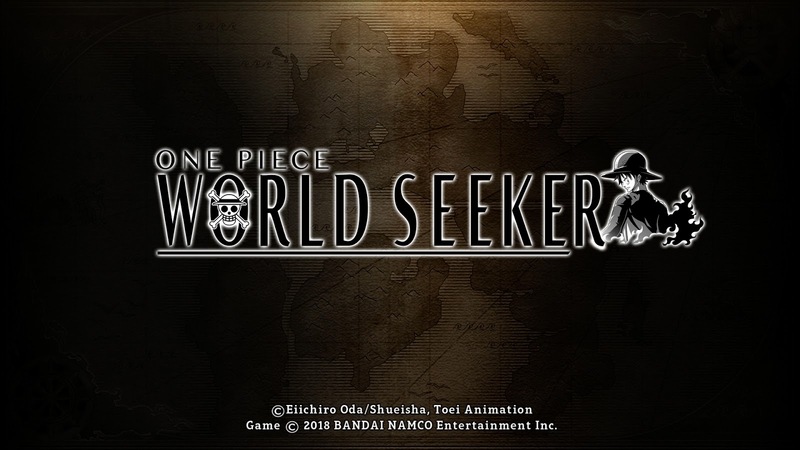 Not too long ago I had the opportunity to try out One Piece: World Seeker and seeing as I was a big One Piece fan myself, I was intrigued to see the direction they were looking to go. Of course I should mention that the last game I can actually remember playing from the franchise was the original Pirate Warriors and before that, Grand Battle; both distinctively different games in what they were trying to achieve, but each bringing you ever so closer to the characters and world. The demo begins with you being tasked to reach the mountain top, however along the way, you will come across a variety of different marines such as swordsmen and snipers, who all have their own skills and will utilise them to take you down, along with the Pacifistas who will show no mercy. 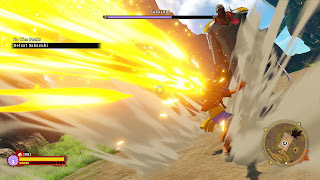 In order to combat these foes, Luffy has access to several abilities that will give you the upper hand in battle. The way I saw it, Luffy has two modes, 'Normal' and 'Haki' which you can switch between easily. The main difference I found between the two is that in 'Normal' mode you can dodge, but with Haki, he actually raises his arms to block. There is no particular time limit or condition to stay in either mode, but generally it will come down to how you want to play. Holding the trigger button will allow you to make use of some powerful moves such as the Jet Hawk and Eagle Storm. These use up a meter that you gain when beating down on enemies, along with skill points which unfortunately, I wasn't able to see what they were for. If you're more of the sneaky type you can go up behind enemies and take them down in one hit, satisfying all types, although I don't believe the majority will take this route, especially once you can mash a button and Luffy throws out like a million punches. So our goal is to reach the peak and waiting at the top is a dangerous yet familiar foe. Moving around the environment is pretty straightforward and you can make use of the rubber abilities by grabbing on to trees and ledges or turning into a mini chopper by spinning your legs. The last one there I was only able to do once, so perhaps that is linked more to the meter you build. Not only can it help gain ground quicker, but enemies can be hurt by it too. It seems that this game will take place on this one particular island that has essentially been super sized to give it the 'open world' tag and while the demo itself only gave me a small glimpse of this, from the area I was playing in I could see a large majority of the environment, which I have to say looked great. It does seem odd however that they would limit themselves, especially with One Piece spanning a massive ocean with many islands. Perhaps this is something the team want to do later down the line if this is successful or perhaps you will actually get to see several islands in the full game. My short time with the demo didn't give me everything, but at the very least I have a much better idea of what One Piece: World Seeker is trying to accomplish and I look forward to seeing a lot more from the game. It was recently announced that its release was pushed back to 2019 and so the more time it spends cooking, the better it will most likely be. One Piece: World Seeker is set for a 2019 release on PlayStation 4, Xbox One and Windows PC!